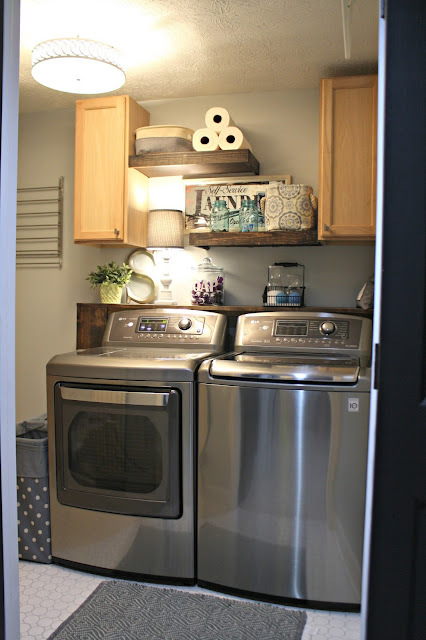 My five favorite household gadgets! Hello! Today I'm joining as the host of a monthly blogging series with some of my favorite bloggers -- Pam from Simple Details, Lisa from Shine Your Light, Kris from Driven by Decor and Jennifer from Dimples and Tangles. We were always using that plug to charge our electronics and the adapters were always disappearing around the house. 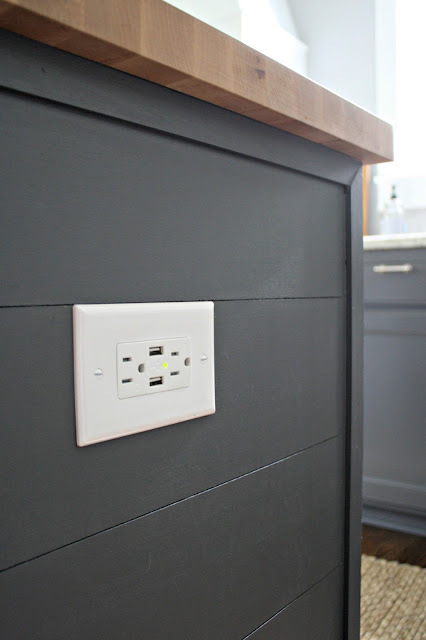 Now we keep a charging cord in the junk drawer nearby and it plugs directly into the outlet. 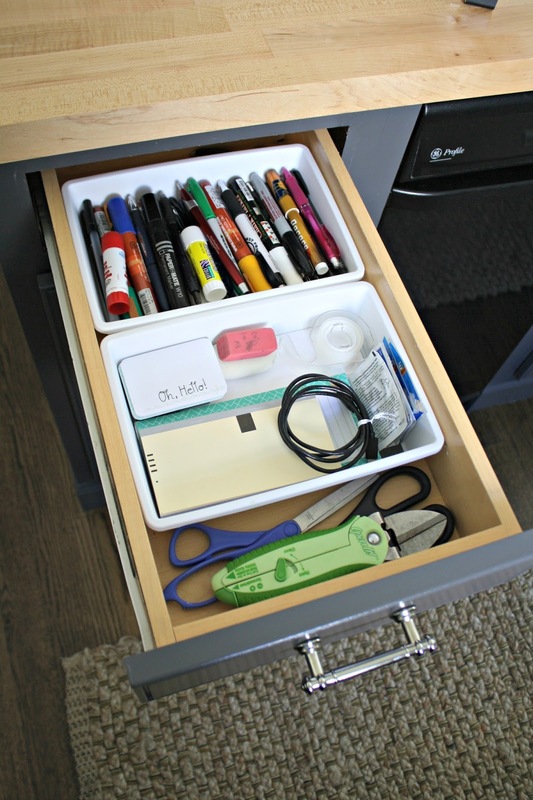 My all time favorite gadget is in that drawer -- those odd looking green scissors are the BOMB. It's the Bissell PowerFresh Steam Mop and you can find it both online and in stores all over like Walmart and Target. It comes with two mopping pads -- you just plug it in, fill up the water reservoir and let it heat up. It only takes a minute or two and there are three different levels. I always use the highest one and the water still seems to last forever. We've had more messes than usual lately with the bathroom renovation upstairs and I just pull this out and wipe down the floors really quick. You toss the pad in the washer when you're done. LOVE IT. And they don't take forever to dry -- that's one of my favorite parts. If you have tile, vinyl or sealed hardwoods it will work so well for you! My favorites are for toilet paper and laundry stuff -- both items I used to find myself realizing we needed when they were gone or close to gone. Now we hit a button and one or two days later they arrive on our doorstep. The one pictured is the exact one we have and I've used it for as long as I can remember in this house. It's awesome for hard to reach spots like a table behind a sofa, something up high on a shelf or even Christmas lights (inside). 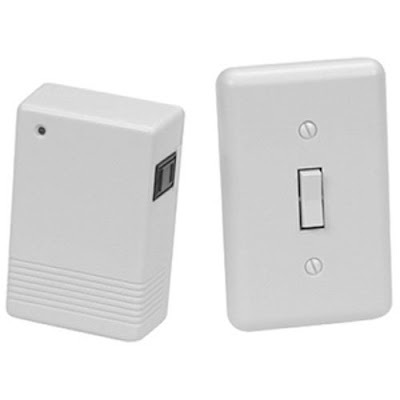 We have this connected to a switch but that switch turns on both our sconces in the kitchen and these lights. I may see if I can just use this instead, so I can turn on either our sconces or the cabinet lighting independently. It's just a cool gadget! There you go! 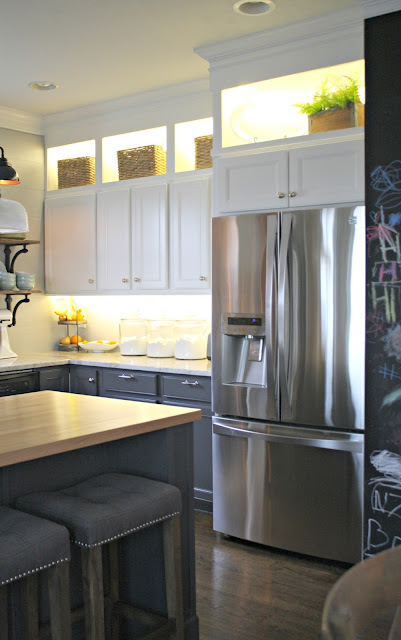 My five favorite household gadgets -- I love them all! Have you used any of these in your home? Now be sure to go check out what five home gadgets the other ladies recommend as well! I love these types of posts -- I always like hearing what works for someone else. The remote plug and switch sounds convenient - I've never heard of a gadget like it before! 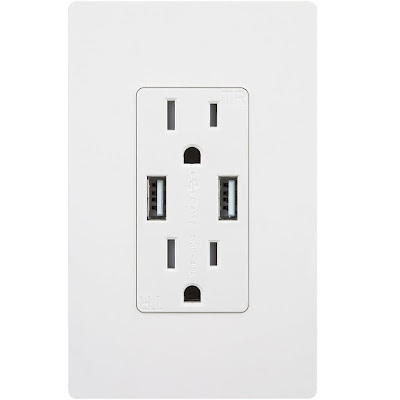 we have a couple outlets we hope to switch to usb- so wonderful! Great suggestions! 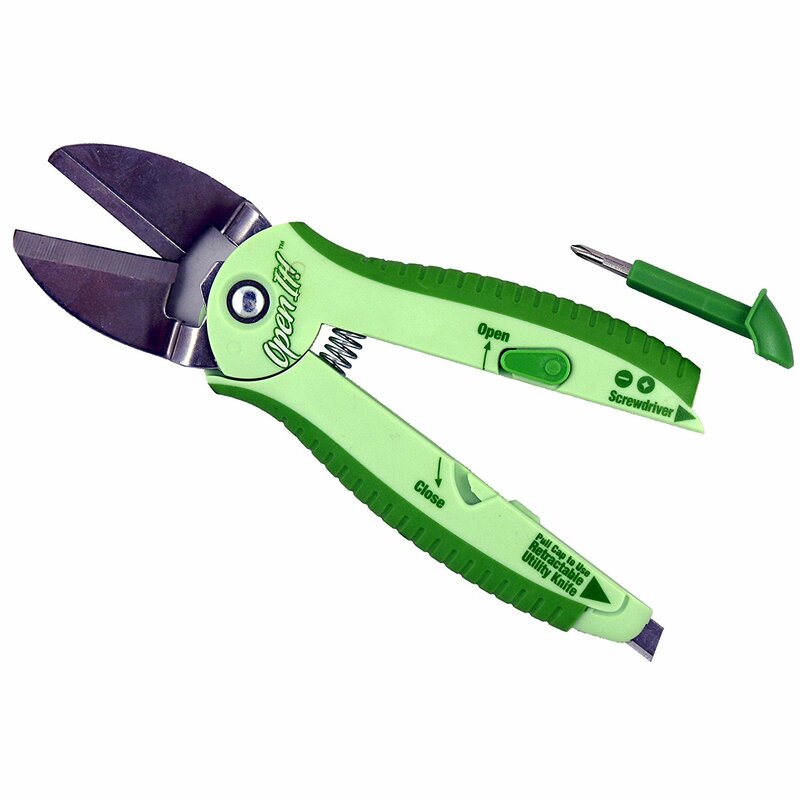 Those green scissors are totally coming to our house soon! Steam mops are amazing! After I bought my first one several years ago, I couldn't imagine ever cleaning my floors with anything else. And it's completely non-toxic to boot! Sarah, these are such a great tips! 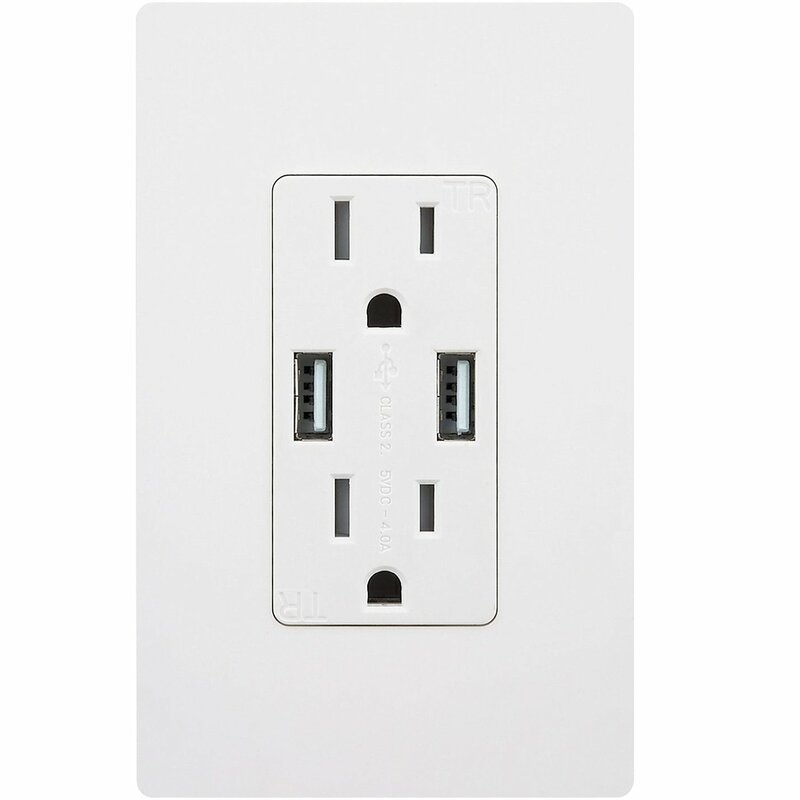 I need to get some of those USB outlets! With three teenagers in this house, chargers are always getting "borrowed", mostly from me!! Thank you so much for sharing your favorites today, we loved having you join us! 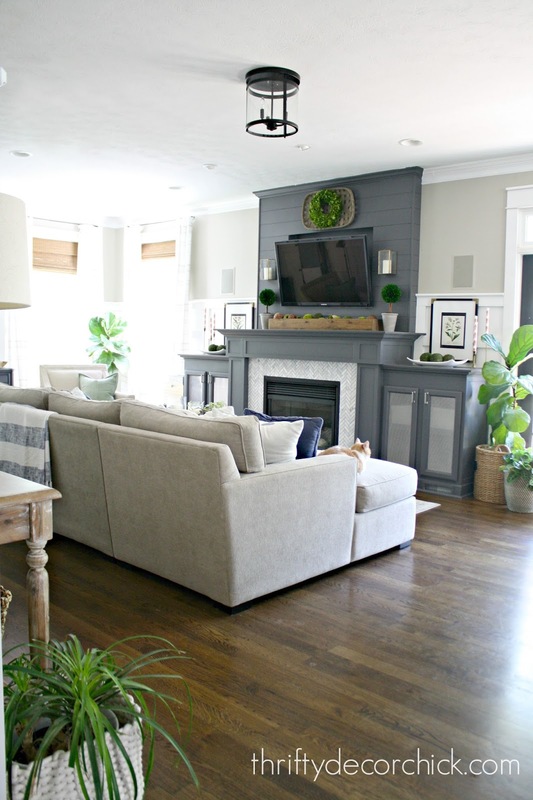 I love the remote plug idea and I agree with you on the green scissors. I have a pair and I don't know what I would do without them when I have to open hard plastic. Why do they have to make things so difficult to get into?!! These smart plugs can be turned on by voice using Alexa or by phone. No switch needed. I like that I can tell Alexa on or off and not get up or if my hands are full. Love the Amazon Dash Buttons. I am going to try this. The Open It scissors make a great gift. I gave them one year to my son and sons-in-law at Christmas. (used 20% off Bed Bath Beyond coupon too for all of them) Made a hit with them and they STILL use them. Told a friend and she did the same for her son & sons-in-law with the same response. Some great gadgets here I'm definitely going to look into! Question for you about the steamer...my whole first floor is engineered wood and tile. I have had two steamers at this point, and neither has worked for me. They leave the floors too damp and look smeary when they dry. And the worst part is if I wipe the floors with a rag to dry them quicker, the rag is filthy! Which means it's not actually cleaning the floors at all. Am I just buying the wrong ones? Or am I doing something wrong? Thanks for any input! I got a Smart Things Hub and some GE zwave switches & outlets. Now I turn lamps, lights & fans on and off with my phone or I tell Alexa to do it. I can also set up schedules! It's awesome! I had a family member who had to replace her wood floors because steaming them ruined them. I asked the floor guy a ton my Lowe's and he said NO STEAMING. Keep wood floors as dry as possible. It depends on your floors. I would never use the on laminate. But hardwoods that are sealed (with a poly) are fine. Our installer recommended a steam mop and we've used one for six years. :) Onsite finished hardwoods are actually incredibly durable.